The double album MOON AND SHADOWS is a collection of twenty-four tone poems based on journeys. It was released in October 2014. The album reached number three in the ZMR Radio Airplay Charts in December 2015 and spent four months in the Top Twenty. It reached final nominations in two categories at the ZMR Music Awards 2015 (held in 2016) - 'Best New Artist' and 'Best Electronic Album'. 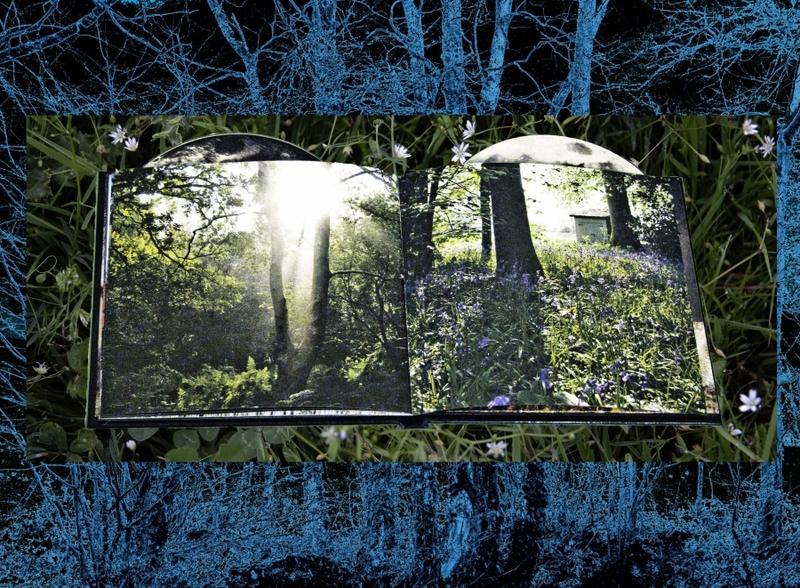 MOON AND SHADOWS was the sound installation at the 2016 International Art Exhibition in The Enchanted Garden at the Art Sanctuary in Belgium where it sold out. 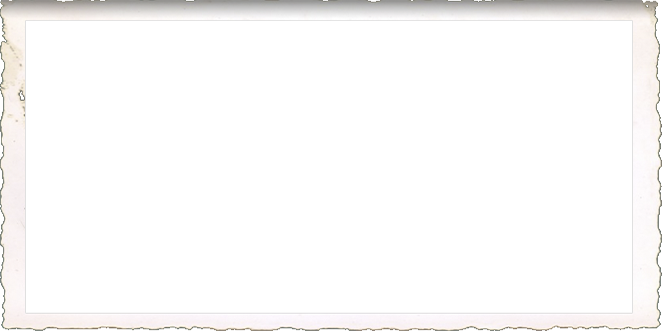 You can watch a video from the Art Sanctuary by clicking 'Videos' on the main menu and scrolling down. The track you will hear playing is called 'Snowflakes'. Before I get to the music part of this review of Barbara Hills' amazing debut, MOON AND SHADOWS, if you do intend buying this recording (which you SHOULD do, by the way), do yourself a huge favour and buy the physical album. Packaged as a CD-sized hard-cover book, with a CD envelope on both the front and back inside cover, this is one of the most gorgeous packaging jobs I have seen in years. Seventeen beautiful photos, shot by Barbara and Peter Hills in the countryside near her home, are the perfect "visual" backdrop while you listen to Hills' music. While the album is available as a download, you will be sorry if you don't spend the few extra bucks (at CD Baby, the physical CD is only $3.00 more). Trust me, you will not be disappointed. the photos really are special. On to the music and what great music it is. 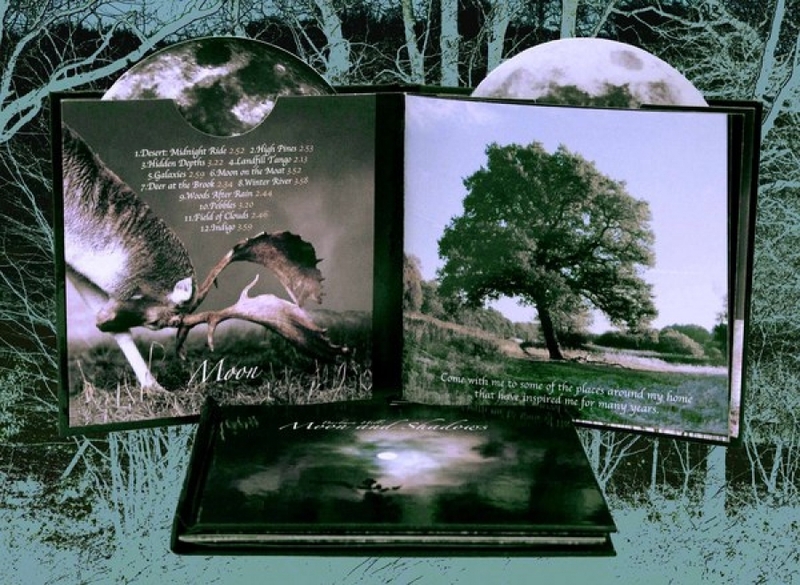 Originally, Hills released the two albums as download only (titled Moon on the Moat and In the Shadows of Roasting Spring) and has now packaged them as a double-CD and shortened the title to ﻿Moon and Shadows. Each disc holds 12 tracks and the best way I can describe the music in a few words is "What a beautiful homage to the golden age of electronic new age music!" I started listening to the first disc and a whole flood of memories came rushing in, reminding me of when I first discovered this kind of keyboard music (which Hills excels at). I think it was in the late '80s and early '90s. However, having said that, please don't think that either (a) this is some throwback nostalgia trip or (b) the music is anything less than state of the art for today's recording standards. My comment was more about (a) the style of music on the album, (b) some of the keyboard sounds, and (c) that Hills' tracks are uniformly shorter when compared to some of today's artists who record similar music. All of these are pluses in my book. With two discs and a total of 24 tracks on hand here, to paraphrase the adage spoken of Denver, Colorado's weather "If you don’t like the music, don't worry, it's gonna change real soon." Me personally, I love everything here, no matter the mood, tempo, style, or keyboard sounds. And, to be clear, there is a fair amount of variety here to be sure. I want to emphasize that while I speak of Moon and Shadows as reminding me of the golden age of new age music, Hills' vision is, in no way, purely imitative. Instead, what I hear in her music is a certain approach to melody-weaving (and some similar keyboard sounds from that era, or at least their contemporary versions). There is a gentility and innocence present, whether the music is haunting, playful, serene, or cinematic (and the latter category could probably be applied to many of the tracks, regardless of the mood set by the particular melody). 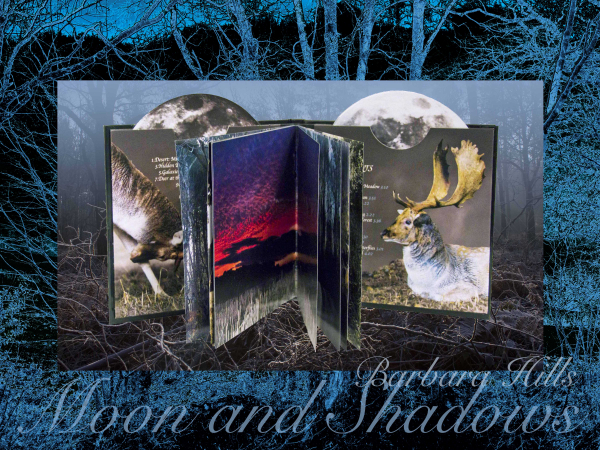 Moon and Shadows will be best enjoyed if you allow yourself to delve deep into the music and let it take you away to the landscapes pictured in the CD booklet. Obviously, headphones would be highly advisable (if for no other reason than to best appreciate the solid production/engineering quality present). I know I have to offer up a few track descriptions to complete this review, but man, it's tough to know which ones to pick. "Desert Midnight Ride" features a mildly funky bass line, delicate plucked strings, and sweeping strings, and while the pace is relaxed, it still puts the notion of motion front and center. "High Pines" is gorgeous and warmly haunting with twinkling bells against a retro-synth backdrop as well as plucked harp and a few other embellishments. The quirky (to say the least) "Landfill Tango" gets the titular reference spot on and the quirkiness comes from what I hear as balalaika and harmonica taking the lead melody! "Galaxies" is majestic, classic spacemusic with soaring synths and lush textures conjuring the image of drifting through the cosmos and viewing the Andromeda galaxy perhaps. At times, it's hard not to compare it to Constance Demby (although Hills shows her individuality by inclusion of an occasional low-tone bass guitar note, reminiscent of Angelo Badalamenti's Twin Peaks theme!). "Woods After Rain" (featuring a backdrop of birdsong) conveys the cleansing affect of a welcome afternoon shower with a warm, gentle pastoral lead melody and the track has a predominant and distinct classical influence, while "Pebbles" burbles along with marimba and bells in the lead. 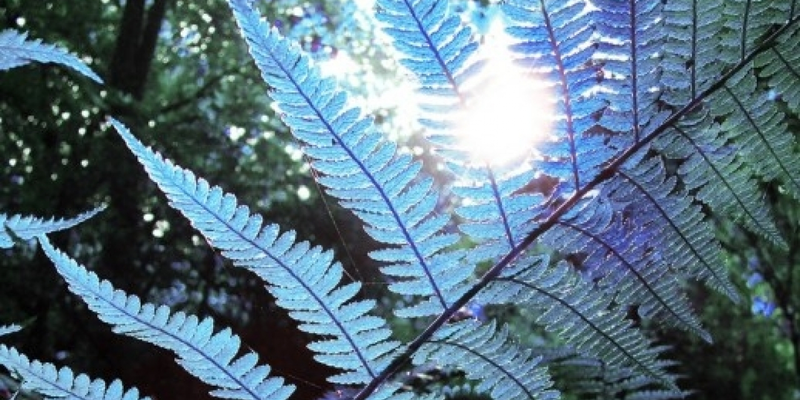 The song's jaunty tone evokes a pleasant afternoon stroll along a tropical beach. Those are just a few of the tracks from the Moon disc. Shadows holds more great music: the subtly eerie "Caverns," the graceful beauty of "Kingdom of the Swan," the percolating chilled beats (with a slight samba-esque quality, similar to Richard Bone's Electropica) and mellow tones of "Suburban Dawn," and a Danny Elfman-ish blend of the macabre and whimsy on "Dark and Sleepy Forest." There so much music here to savor and enjoy through many repeat playings. It's hard to believe that this is Barbara Hills' first foray into new age/ambient/electronic music (at least her first physical release). She has been nominated for two Zone Music Reporter awards this year, including Best New Artist. One listen to Moon and Shadows and it's easy to see why. She's a stellar talent already and I hope to hear much more from her down the road. Read more reviews here. Click on the links for the whole review.